Halloween drink recipes for ghoulish parties and frightening drinks to make your hair stand on end. Day of the Dead is a Spanish and Mexican version of Halloween. It is when the relatives light candles to allow spirits to find their way home. 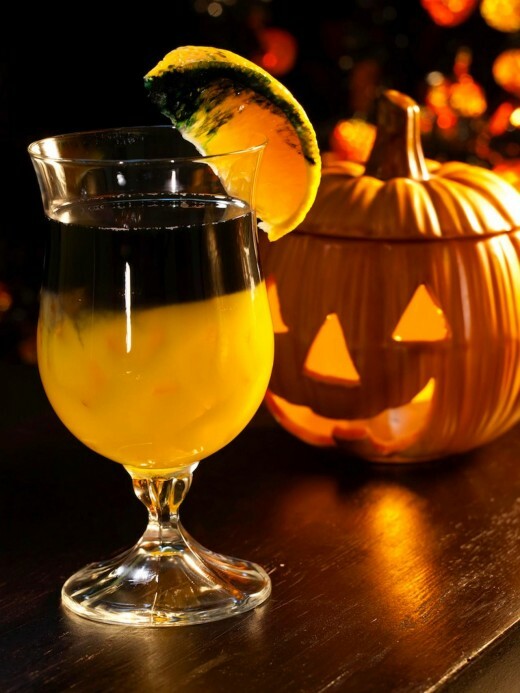 Halloween cocktails are an awesome accompaniment to any Halloween party. Free link for Flaming Cocktails. 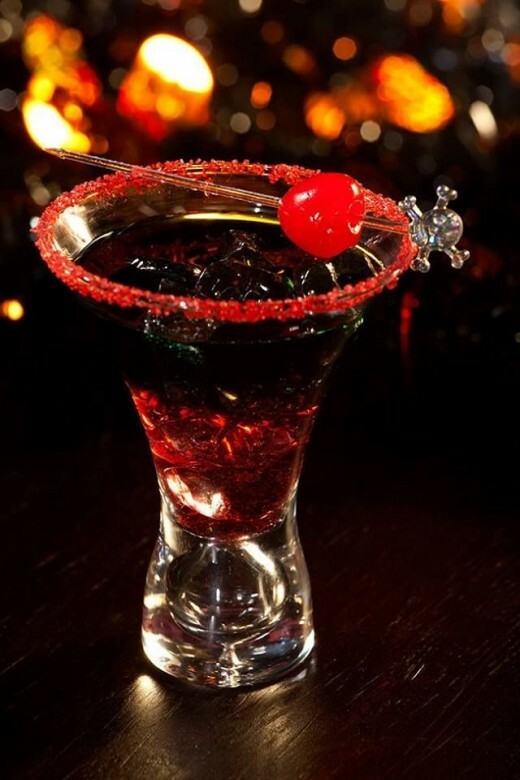 The difference in Halloween cocktail recipes and all other drinks recipes is the appearance. Disgusting looking drinks are used at this time of year when ugly and disgusting things are good. It is a time when mother-in-laws fly over on their broom sticks for a visit, when children dress up as scary monsters and prise sweets from neighbours. Warning: Some individuals intentionally harm children. Any goodies collected by children on Halloween should be checked by parents or minder for wrappers or packets which may have been ta,pered with, prior to the children eating the sweets. Pour shot of Pernod into a tall glass, add shot of black current juice, top off with cider. Pour contents into a cocktail shaker with cracked ice. 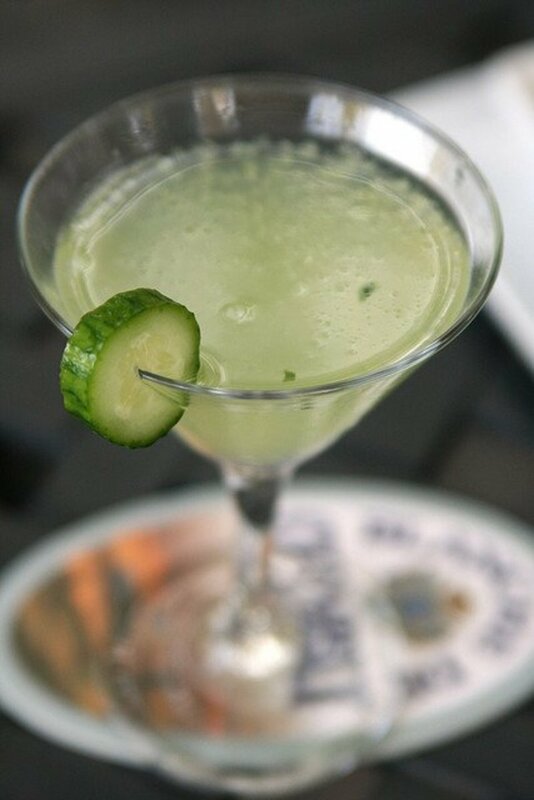 Shake vigorously and pour into a short glass. Peach schnapps, 2 or 3 x teaspoons Baileys Irish Cream,1 tablespoon grenadine. Pour peach schnapps into a small tumbler glass. Gently pour Baileys on top to create a layer. Drop the grenadine through the centre. 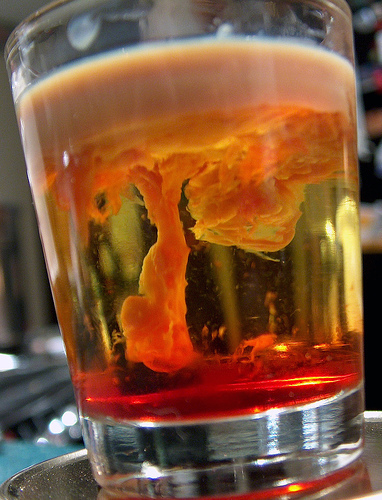 1 shot Irish Baileys Cream, 2 shots strawberry Schnapps, 1 tablespoon Grenadine. Pour the Schnapps and Grenadine in a cocktail shaker and shake vigorously. Strain into a cocktail glass. Carefully add the Baileys into the centre of the glass. If done correctly a vein covered brown 'brain' will form on the bottom of the glass similar to the look of a brain. Pour Vodka into a shot glass and mix in Tabasco sauce, sprinkle pepper on top. Drink in one swallow after holding the drink in the mouth for ten seconds. Decorate glass to your own liking. Put the rum into a shot glass and add two drops of food coloring. Gently pour the chocolate liqueur into the centre of the glass. The effect is another brain at the bottom of the shot glass. Free Link to Disney Themed Cocktails for adults. Put Vodka and vermouth with a pinch of salt into a cocktail shaker with ice. Strain into a tall glass and top with orange juice. Decorate with a sparkler and drink through a thin straw. Put all the contents into a pitcher, ice bucket, or cauldron, stir well and ladle into small tumbler glass. Straining may be necessary. 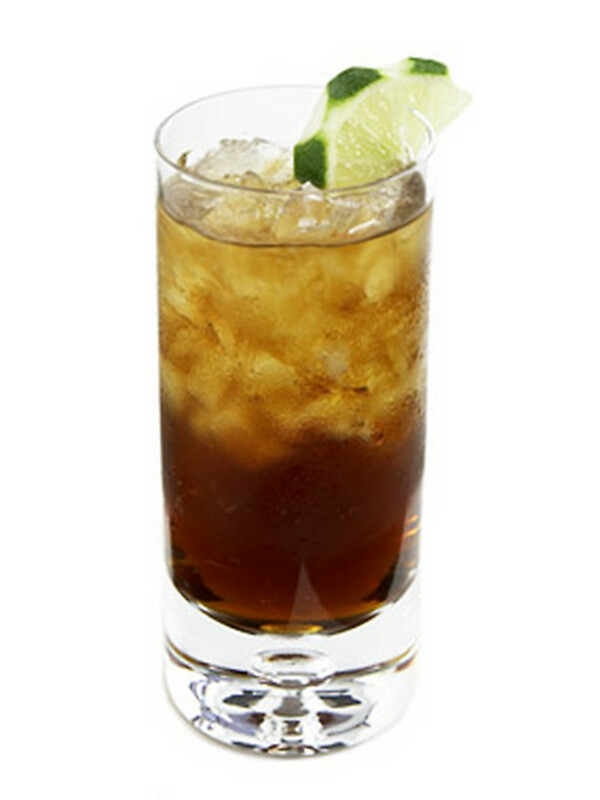 Combine cider and beer in a large glass, drip the blue Curacao on top. 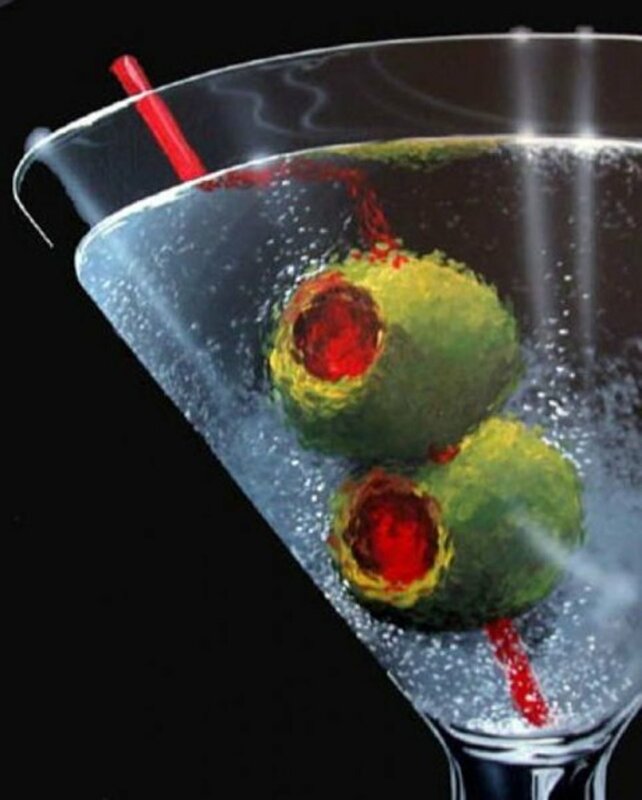 Add a green glow stick for maximum effect, round glow sticks will settle at the bottom of the glass for an awesome eerie effect. Line up the shots and the beer is the last glass. Whoever cannot name seven members of the Adams Family has to drink the four shots then the tumbler of beer. Free Links for Shot Drinks for any occasion. This is excellent, I can't wait for Halloween 2012! What a wonderful idea for a hub...and a great picture. I have bookmarked it and "liked" it on Facebook. Also voted Up and Awesome!